Regular D.U. readers might have guessed by now that we’re big fans of Antigama. Your editor’s band has gone on tour with them and we have sung their praises going back to when they were in their demo days. Now, the Polish avant-grind band has released another EP, Depressant. It’s chock full of the unique, precision grindcore and texture that Antigama fans will recognize and expect. – And once for their last full-length The Insolent. 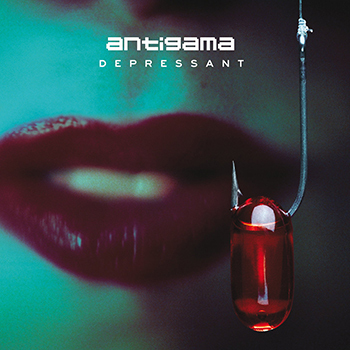 This entry was posted in News and tagged antigama, avant grind, depressant, grindcore, Poland, Selfmadegod by Editor. Bookmark the permalink.